Kicking World 1’st Annual Golf Classic! Signup for the 2011 Golf Classic put on by Kicking World and hosted at the beautiful Tijeras Creek Country Club in Rancho Santa Margarita, CA! ** Hole in One on any Par 3: $1,000 Tijeras Creek Gift Card! ***HOLE IN ONE on Select Par 3: $10,000 CASH Prize!!! We’ll have different prizes for the contests like brand new putters, wedges, golf balls, kicking lesson & kicking camp gift certificates, restaurant gift certificates, Angels & Padres games tickets & more! We’ll also have a 50/50 raffle! Sponsors/Donations: We are currently seeking vendors to donate prizes for the Golf Classic! If you have any great golf merchandise (like drivers, wedges, putters, golf balls, gift certificates), athletic event tickets, restaurant certificates or anything else please contact Coach Brent to be a donor and/or potential sponsor of our event! View the Golf Classic Flyer and print or e-mail and share with all your friends! COST: Only $85 per person! 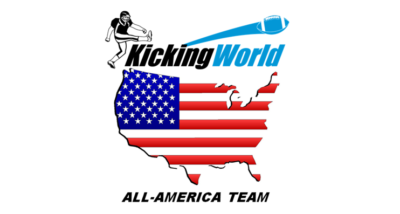 SIGNUP: Contact Coach Brent at 512-817-1333 or brent@kickingworld.com to register today!